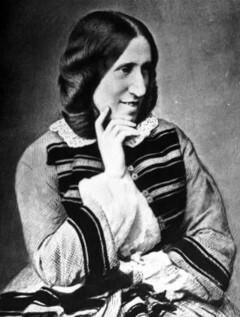 George Eliot is the masculine pen name of Mary Ann Evans (1819–1880), one of Victorian England's leading novelists. Her first stories appeared in Blackwood's magazine, followed by such novels as The Mill on the Floss, Silas Marner, and Middlemarch. Her work was popular with critics and the public alike, and in later years her novels were especially valued for their detailed portrayals of rural English life.